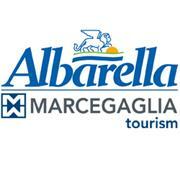 GALA DINNER - CAPO NORD HOTEL**** - ISLAND OF ALBARELLA Capo Nord Hotel**** organizes an elegant and sumptuous gala dinner. The modern structure of the hotel is the setting for an evening featuring dishes and exclusive wines, from the accompaniment of music and, finally, fireworks. The dinner begins with a Grand Buffet of August with several dishes of fish specialties. Followed by a menu of fish or meat with rice, lobster and fillets. Finally dessert buffet and fruit and drinks. Is required to pay at time of booking.